Dirty stains on the shoes can ruin your appearance. You’ve been dressed neatly, but that is all were broken just because the dirty stains on your shoes. Not only on leather shoes, but on your high heels, sneakers and canvas was also filled with stains of fungus. You may wonder why did it happen? When you have saved it in the box and seems safe from the musty and cockroaches. In addition to improper storage, careless attention for the shoes has also resulted in the shoes become musty, and also became a nest of cockroaches or fungi. Genuine leather material is very comfortable to wear and look elegant. However, the leather shoes also require extra attention to take care of it, because although it is beautiful, the leather shoes are very fragile and easily damaged. Leather shoes should be stored in a-not-damp place and uncomfortable, so it isn’t covered by mold and other attacks. However, do not put it in a hot temperature, because the material can be very dry and chapped. Today, there are a lot of shoes that present the material that made from a combination of two leather, namely leather and synthetic leather. Similarly with the leather shoes, this combination shoes treatment also requires extra attention. Therefore, this synthetic shoes are not waterproof, easy to peel and fragile. 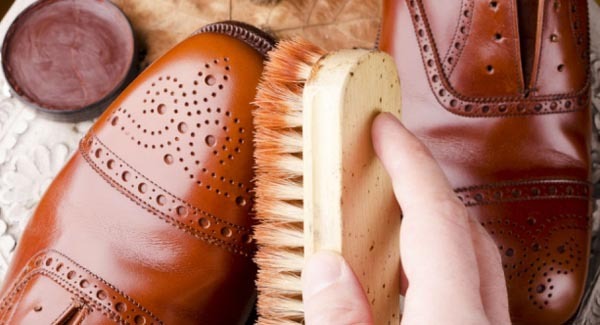 Ensuring of leather shoes in the clean condition when added to your shoe box. Clean shoes from dust and stain with a soft brush, or you can clean it using a cloth that has been dampened. Do not wash immediately using detergent and water because it can make the shoes become increasingly fragile. Then save it back into the box. Always remember to put silica gel or water absorbent on your shoes box to moisture your shoes. Rinse the shoes with water until completely clean so that no more dirt and soap scum that sticks. Although detergent can help clean the shoes of stains and dirt, if you do not rinse it until very clean, then the shoes will quickly brittle and broken. Dry the place is a little hot, and when it is dry use an antiseptic spray to your shoes. Then, reinsert into a shoe box that has been placed silica gel to keep the shoes remain durable.